The Prosecuting Attorney’s White Collar Crime Unit secured convictions during the fiscal year 2018 in which defendants in high profile cases were found guilty of stealing more than $10 million. On August 15, 2018, Lola Jean Amorin was sentenced to 25 years in prison for embezzling more than $6.9 million from The Arc in Hawaii, a non-profit dedicated to assisting people with intellectual and developmental disabilities. She was also ordered to pay restitution totaling $6,696,165 to The Arc and $3,337,554 to the state Department of Taxation. Amorin stole the money while working as a Senior Accountant at The Arc. It is the largest White Collar case ever prosecuted by the Honolulu Office of the Prosecuting Attorney. On July 17, 2018, Justin Ha was sentenced to 10 years in prison and ordered to pay full restitution for stealing $866,000 from property management company AMH Inc. where he worked as Comptroller. Ha’s 85 felony offenses include multiple counts of theft and forgery. On September 26, 2018, Stacie-Lynn Pihana was sentenced to 10 years in prison and ordered to $699,838 in restitution for stealing thousands of diabetic test strips from the Waianae Coast Comprehensive Health Center. Pihana worked in WCCHC’s pharmacy. She sold the test trips on the black market. 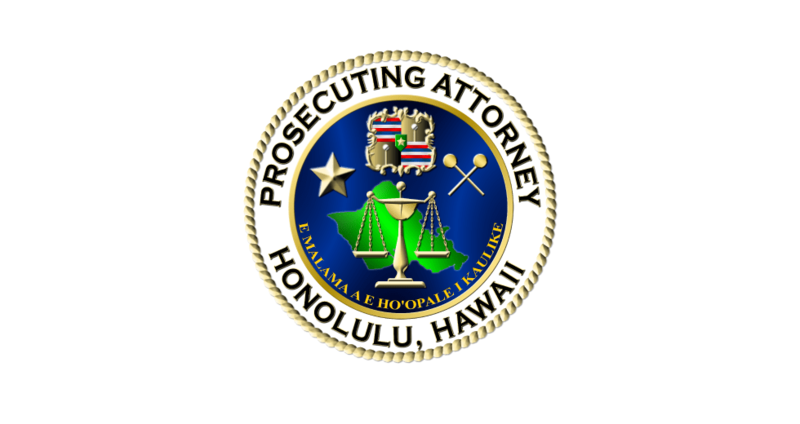 On October 17, 2017, Patrick Oki was sentenced to 20 years in prison and ordered to pay full restitution for stealing $440,000 from the PKF Pacific Hawaii LLP, the fourth largest CPA firm in the state. Oki, who was a managing partner at PKF, was found guilty of thirteen felonies including theft, money laundering, forgery, and computer crimes. On July 12, 2017, Tamila Alcoran was sentenced to 20 years in prison after being convicted of 311 felony offenses for embezzling $1.3 million from Greg Boyer Hawaiian Landscapes Inc. Alcoran was working as Office Manager at the Kailua landscaping company when committed identity theft, money laundering, forgery, theft, and computer crimes. All of these cases were prosecuted by Deputy Prosecutor Chris Van Marter, Captain of the White Collar Crime Unit.